Netcetera can now offer businesses big and small more choice when it comes to Colocation and Cloud solutions. 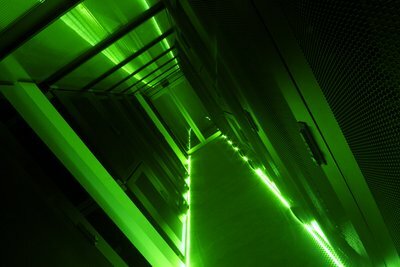 With an additional 96 high density racks housed in one of the most energy efficient hosting halls in the world the company can now meet industry demands for reliable clean tech hosting solutions in a future-proof scalable manner. 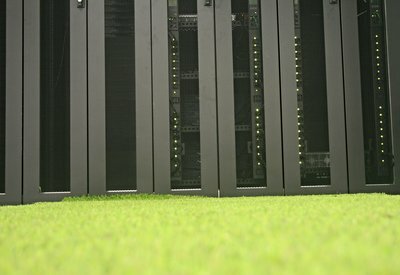 The Dataport, owned and operated by Netcetera is the only Carbon Zero datacentre on the Isle of Man and one of only a small number in the United Kingdom. To go along with the opening of the new hosting floor the company has also opened a new onsite business recovery centre enabling Netcetera to provide businesses not only with reliable hosting and IT backup but also with premises backup too. Netcetera Located in the Isle of Man, one of the world’s leading offshore business centres, Netcetera’s Datacentre expansion will help businesses safeguard mission-critical data with the highest levels of security and operational reliability. With the demand for premium Data Centres continuing to grow Netcetera is well placed to meet the ever increasing need for high performance Cloud and Colocation solutions. All of these key concerns have been engineered into the design of the new Data Hall to address current requirements in a future-proof scalable way. The Dataport, owned and operated by Netcetera, is the only carbon zero Datacentre on the Isle of Man. Add to this the Island’s reputation as a well regulated low tax jurisdiction with an excellent telecoms infrastructure, Netcetera is in a strong position to meet the demands currently being placed upon European Datacentres. The Datacentre expansion has the capacity to host 96 high density racks offering a greater choice of hosting solutions with quarter, half and full rack space availability with customisable options on power supply and bandwidth. The design of the new hosting floor also encapsulates the need to be able to offer more choice on power supply up to dual 32 Amp feeds if required. The expansion allows Netcetera to provide a solution to any client request no matter how demanding or unusual it may be, giving clients greater flexibility on how their data requirements can be met. Netcetera is leading the way with its 100% Zero Carbon Hosting and use of energy efficient technology. The company has embraced and made full use of the Island’s 100% renewable hydro energy infrastructure and naturally cool climate as a way to clean up IT. The new hosting floor also uses the latest cold aisle technology and energy efficient eco-cooling which has produced a new PUE metric of 1.12 - energy savings which the company passes onto its clients. The benefits of hosting within the new facility has already attracted two major clients taking multiple high density racks with secure cages. With the increase in rack space availability, the business can now meet the ever-increasing needs of its new and existing clients with the added benefit of reducing CO2 emissions at the same time. Netcetera has been providing data hosting and managed IT solutions to businesses large and small across the globe for almost 20 years. During this period the company has continued to lead the way with its’ use of energy efficient cooling technology and its’ use of hydroelectric power.